You may have some questions about 20 foot pallet-wide shipping containers; we will try to answer some of those questions for you, starting with these. What is a pallet-wide shipping container? The pallet-wide containers are slightly bigger than the standard ISO containers due to measurements used in the European Union. What is the difference between shipping containers? There is a difference between standard ISO containers and the EU containers; in the amount they will hold and how they are loaded. Sizes of these shipping containers vary from 20 or 40 feet. The internal room of the pallet-wide container is just slightly more than the ISO standard container. The ISO internal width is 2.348 m where the pallet-wide is 2.438 m.
This does not seem like a lot of extra room but they can actually hold 4 to 7 Euro pallets more than the standard ISO container. For the 20 foot container that is 4 more Euro pallets with one of these containers compared to that of a standard ISO container. Who would use these types of shipping containers? 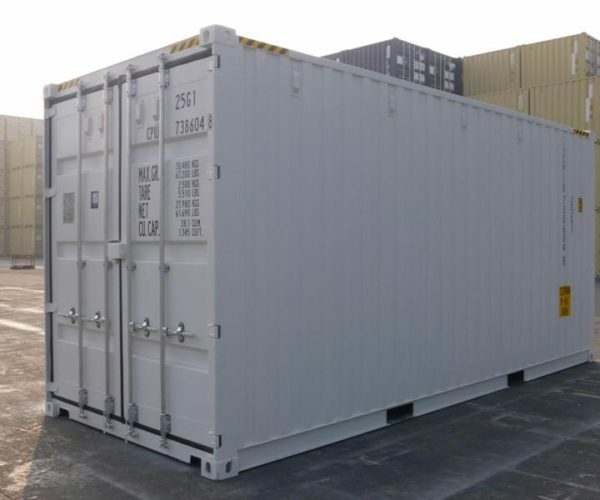 Businesses who want to ship products to other countries within or outside of the EU could use these types of containers. They may also be used as dry storage for corporate and event people to keep products or food items drier. What types of shipping containers are there? General –this is general purpose cargo that does not need extra care or space. Flat rack –this container is used for oversized cargo and available both with sides and without. Open top –allows easy loading of cargo that is over height. Reefer –this allows temperatures to be controlled and maintained during shipping. Once you have your 20 foot container loaded with the cargo or product; it then can be shipped via truck or boat all over. Insurance against damage during shipping; how much insurance you need will depend on the type of cargo you are shipping. You also need to make sure of exactly what that insurance covers; such as loss of damage, fire, theft, water, etc. You will need to read the fine print and ask questions. Determining the amount of insurance depends on the product if you purchase replacement or market value, storage or transportation; again make sure of what you are getting for your money. 20 foot pallet-wide containers are a great option when it comes to shipping products. The work especially well for corporate or events; especially given the different types of containers that can be used to ship items from one city to another or one country to another via a truck or boat. There are also many conversions that could make the container easily accessible, as well as being used from something besides just storage.